If you’re looking to buy a house, we’re not only able to help with your mortgage, we may be able to sell you the house too! 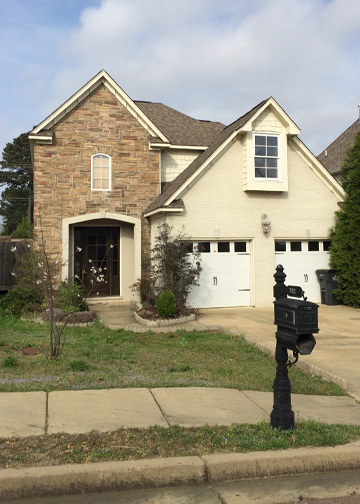 For more information on these or other properties, call (662) 234-2821 or contact us. Don’t miss this starter home in The Gables! Walk into a 2 story entry way and an open living area with fresh paint throughout. The split floor plan offers a privacy for the master bedroom with its own private bathroom down stairs and an extra half bath off the living area. The other 3 bedrooms are upstairs with a shared bath. New carpet in all bedrooms and a $1,500 appliance allowance for the kitchen. This house also has a back deck, fenced, and two car garage. Priced to sell!